REGION — The California Surf Festival will be showing three epic surf films at three locations in San Diego County this spring and summer. This is the sixth year for the film festival that screens surf films with amazing cinematography and compelling story lines. 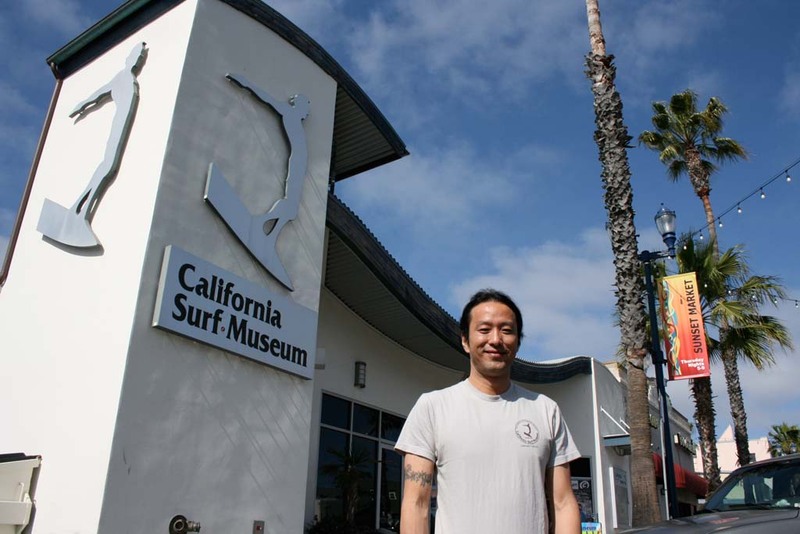 “Half the surf movies out there don’t have storylines,” Sam Zuegner, California Surf Museum operations manager, said. “We focus on the other ones. The California Surf Museum, located in Oceanside, holds the film festival as a community outreach each year. The films share the beauty and history of the sport. Last year most films were shown at the museum, and one film was screened at La Paloma Theatre in Encinitas. This year plans are to bring classic surf films to a wider audience. “We want to spread it out a little bit and expose new people to the museum,” Zuegner said. “Endless Summer” is a cult classic. This year is the 50 year anniversary of the film. “Step Into Liquid” shares the beauty of surfing from different viewpoints. “It exposes the sport and lifestyle of surfing from all generations, from the youngest surfers to the oldest surfers,” Zuegner said. Zuegner added it is a universally relatable film, that had a run in mainstream theaters. “Chasing Dora” shows the personal side of surfing legend Miki Dora. Locations for film screenings are also being finalized. A week ago two of the anticipated venues had schedule changes. Zuegner said he hopes new dates can be secured. One screening that can be confirmed is “Chasing Dora” at the San Diego Hall of Champions in Balboa Park Aug. 23. “The Hall of Champions is a go, it’s a beautiful place,” Zuegner said. The California Surf Museum began in George’s Restaurant (now closed), in Encinitas in 1986. It had its first museum building in Oceanside in 1996, and later moved to its permanent location at 312 Pier View Way. The museum has a permanent collection of surfboards dating from the early 1990s to today. It also has rotating exhibits on surfing as a sport and culture. In addition to exhibits there is an archive room of surf literature, videos, and interviews. For more information visit surfmuseum.org.